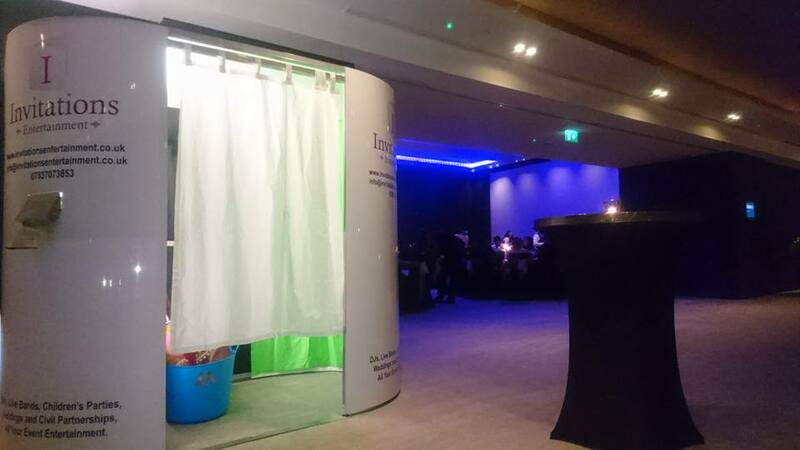 Invite events, Fully Enclosed Green Screen Photo Booth is prefect for any Wedding Reception, Private Event, Corporate Event, Military, Christmas Party or Sporting Event. Hire of a Photo booth in Hampshire, Surrey, Berkshire, Sussex, Dorset and the South Coast areas. Custom Deigned Backgrounds – Invite Events Limited will customise your background. Once you have booked your booth we can start designing your template straight away ensuring your colours, logos, and pictures are incorporated in the design. Examples can be found on Facebook or upon request. Photo Booth Hire available throughout cover Hampshire, Surrey, Berkshire, Sussex, Dorset and the South Coast. Booth Attendants Available at all Events – All our packages come with a professional, uniformed, fully trained booth attendant. 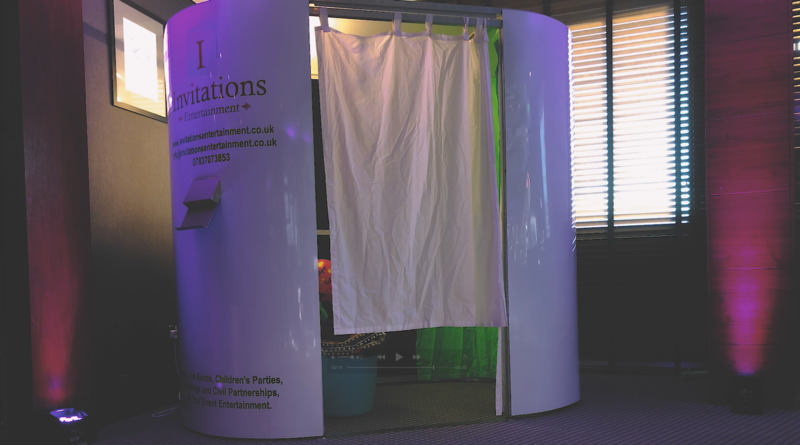 When choosing your Photo Booth hire (Hampshire, Surrey, Sussex, Berkshire), a trained attendant will be included to ensure everything runs smoothly. 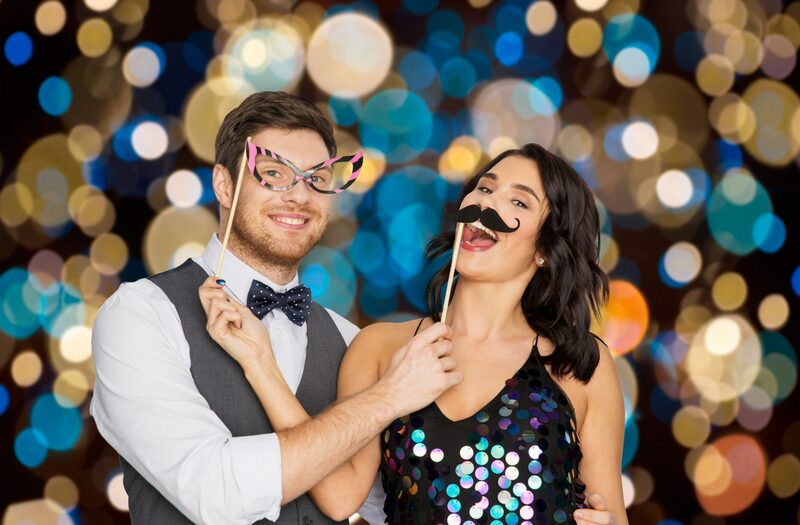 All Photo Booth attendants will assemble the Booth, help guests, hand out prints, change ink/paper, ensure equipment is working properly and be on hand throughout the hire period. Providing excellent customer service throughout the hire is essential for your special occasion. 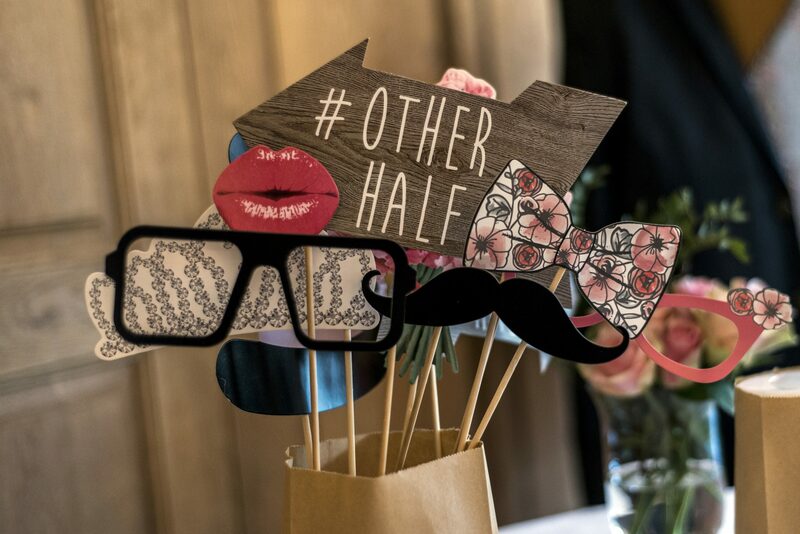 Invite Events Limited will provide all the props with any Photo Booth package you choose. We use props which are selected carefully for each individual event. With a large range of props which are regularly updated for your special occasion. Each event will come with enough props to cover a large 6ft by 2ft table, so there’s plenty of selection to choose from for those amazingly fun Photo Booth pictures. A Guest Book is a fantastic addition when booking a Photo Booth: this gives you the ability to look back on those special moments any time. Included as standard in Package 2 our Guest Book gives you a full album of all event photos taken during the event. How does it work? The Photo Booth attendant will take 1 of the 2 prints from each session and glue the image direct into the book. Guests can then write and leave message. This is a brilliant addition for Weddings as it gives all brides and grooms the opportunity to reflect back on the evening of celebration with friends and family. Keys Rings is an excellent addition when hiring a Fully Enclosed Green Screen Photo Booth: this feature provides you and your guests to take away a key ring of your special moment with friends and family. Perfect for a present to a family member who perhaps couldn’t be at the event. The Fully Enclosed Green Screen Photo Booth attendant will take one photo with four pictures on, choose your best one for the key ring then it will be surely place and given to the guest. This is a brilliant addition for any special occasion, your guests will have a momento for years to come of your special event.